In the year 1899, there were only six or seven families residing in the northwest area of Argenta, Arkansas’ Military Heights. It was during that year that the families residing there decided that they needed a place to worship in the community. Their resolve resulted in the organization of the First Baptist Church (FBC), Military Heights. The Church’s founding organizers were Deacons T. E. Everette; J. W. Sally; J.F. Watson and Rev. D. Davis. The first place of worship was a house located at 23rd & Orange Street; however, the church grew quickly, and a larger facility was soon needed. The new worship facility was a house located on 25th Street, between Gum and Willow Streets. As more people moved into the neighborhood and united with the church; a larger facility was again needed to accommodate the growing congregation. Three lots were then purchased at 26th & Gum Streets, and a Brush Harbor (a shelter of poles and forest brush) was built. The church was torn down and rebuilt in 1940, with an additional eight feet in length and an additional four feet in width. At that time, an usher’s lounge, indoor bathroom facilities, two choir stands, a baptismal pool, pastor’s study, six classrooms and a balcony were included in the new building. The brick work on the newly constructed building was done by the Smith Brothers, members of the church who owned a Construction Company. In 1953, new furniture consisting of a pulpit rostrum, three pulpit chairs, a communion table and forty eight “Samsonite” chairs were purchased for the church. By 1959, they were blessed to be able to remodel the church, adding new aluminum windows, new electric lights, and interior painting. Under the leadership of Rev. J.S. Woodard who was elected in 1955, the church progressed rapidly. After worshiping at 26th & Gum for almost 60 years, the Government’s Urban Renewal program disrupted the neighborhood by tearing down, but eventually rebuilding the community. The First Baptist Church congregation was without a facility during this transition, and held church services at Hillside Elementary school and at a dwelling house on West 24th Street, where they worshiped until a new site at 23rd & Railroad Avenue (later renamed Percy Machin Blvd. ) was purchased. In July of 1965, Pastor Woodard led the church in a ground-breaking ceremony at the new location, and in December of that year, the congregation marched from 519 W. 24th street to their new Church facility on Railroad Avenue. The new facility was built by Smith Brothers Construction Company, and was a modern brick edifice with many modern facilities. The mortgage was paid off on that facility in 1973, and later that year the church purchased a lot on the east side of the building. In August 1979, Rev.Allen Washington was elected Pastor. This was a very important growth period for the church. In 1981, under his leadership, the church facility was remodeled, moving the entryway from the west side of the building to the north side. A new kitchen and fellowship hall was built, and the pulpit and baptistery were moved from the east to the west side of the building. 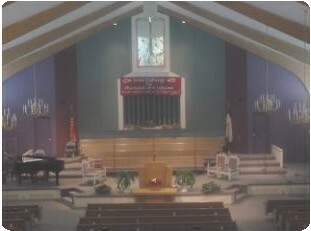 During the reconstruction and remodeling of the facility, the church held worship services at Shorter College in North Little Rock. As the Church grew, the Christian Educational arm of the church was also being redeveloped to include the reinstitution of the Baptist Training Union (BTU), the Laymen’s Discipleship Study, and the New Member’s Orientation Class. The Helping Hand, and Senior Citizen’s Programs and a Nursery were also instituted. An adjoining lot on the north side of the church was purchased to accommodate parking for the growing congregation, and the church also moved into the computer age by purchasing a word processor and computer to advance the administrative functions of the church. Our current pastor, Rev. D.L. Richardson was elected in February 1996. Many ministries were revived and/or started under Dr. Richardson’s leadership, including the Faithful Available and Teachable Children’s Ministry, Teen Titus 2 and Teen Timothy Youth Ministries, the Learning and Education Center; all geared to the spiritual education and growth of the youth of the Church. The Esther Circle Women’s Ministry, King David Men’s Ministry, My Brother’s Keeper Ministry, the Evangelism Ministry, the Raven’s Food Ministry and Clothing Ministry, and the Welfare to Work program were all started specifically to win souls for Christ, and to enhance fellowship and promote the spiritual growth of the church. 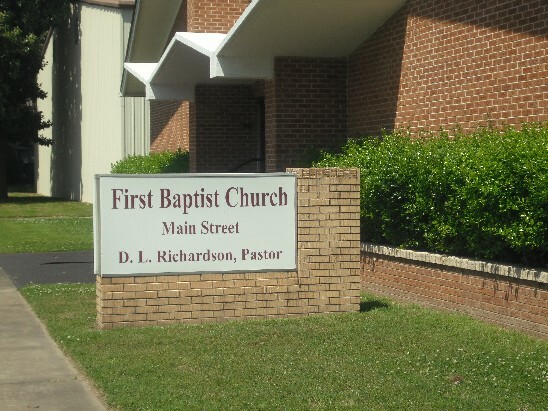 In January 2000, Pastor Richardson led the Church in purchasing a new facility located at 2015 Main Street in North Little Rock where we are currently located. The 10, 000 sq. ft. Sanctuary seats 800 parishioners and consists of 3 offices, sound room and 2 restrooms. The 21,000-sq. 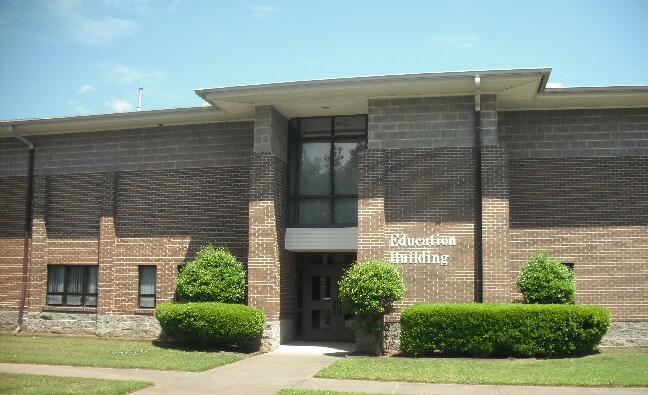 ft. two story Education Building consists of 17 spacious classrooms, a pastor’s study, 4 offices, library, a resource center, a multi-purpose fellowship hall, 2 kitchens, nursery, bridal room, welcome center, health room, 9 restrooms and 2 showers. The 12,000-sq. ft. Family Life Center has a full basketball court with retraceable goals, a score board, outlined and built-in volleyball capability, large game room, commercial kitchen with pantry, washer and dryer room, spacious upper level activity center, equipment room, 2 large restrooms, 4 showers, and 1 office. 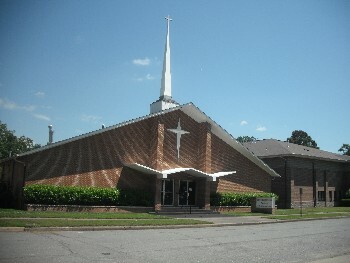 The church also hosts such events as the National Baptist Regional Congress, Arkansas Baptist State Convention and Congress, Union District Baptist Association Annual Session and Congress of Christian Education, North Little Rock City Mission Scholarship Banquets, Step Ministry Thanksgiving Fellowship Meal, the Arkansas Gospel Announcer’s Guild and various religious concerts in addition to other local events. On Sunday, November 9, 2014, during our 115th Church Anniversary, we celebrated a great, grand, and glorious day in the life of our church as we retired the mortgage on the facilities at 2015 Main Street six years before maturity.